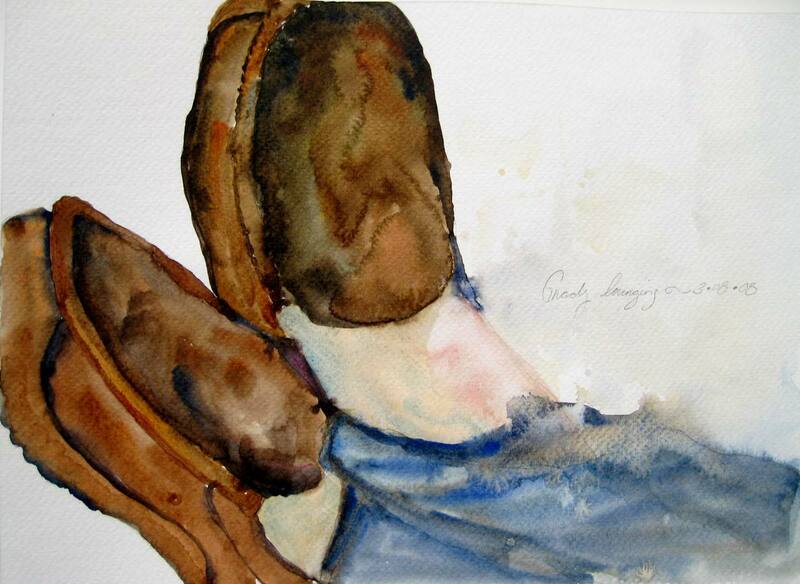 Grady was enjoying his ‘Sabbath-rest’ one afternoon and I decided to paint his restful feet while they were good and still. Love it! And love catching up even it is through your site. So glad to read your testimony about your renewed vows – and feel like your entry allowed me to be there with you in celebration! See you soon! Girl, it’s been too long since I’ve seen you. We’ve been in and out of town the last several weeks. Hope we get a chance to catch-up at the servant team retreat. Oh yea, by the way – thanks for celebrating with us :). Thrilled to know that Grady does rest! This is my first time to this site, but i must say that in all His Awesomeness God always seems to know just where to direct me. Thank you for sharing.